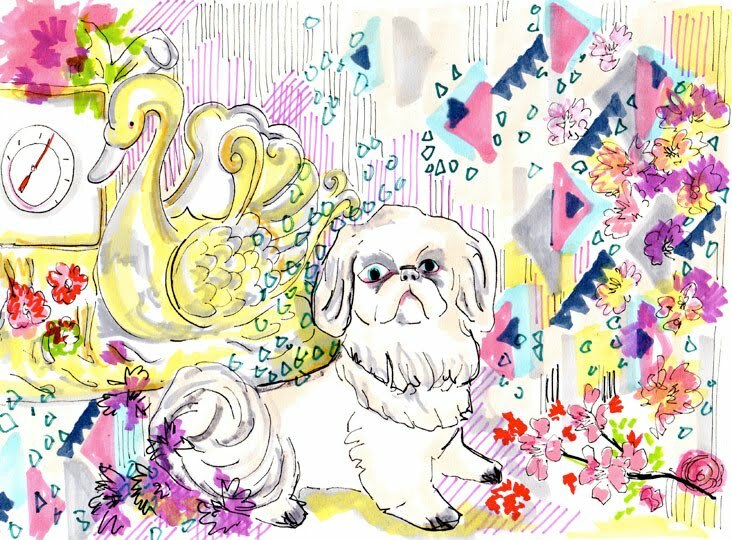 June 19, 2012 in "Dog Illustration", "Etsy", "Supermarket Sarah", "custom portrait", "cut outs", "illustration", "pets", "portraits", "pug", "schnauzer"
Hopefully some of you will have seen my Supermarket Sarah Wall. On it I featured a small cut out dog for the mantelpiece! I am now offering custom cut outs of your canine and feline friends. I'll keep you posted, but these will be available via Etsy later today. Starting at $35 for a pooch or feline roughly 14 x 14 cm in size. I heard Forever Young today which made me think of this!